Wilmington is known for its scenic beaches that make you feel like you're in a Nicholas Sparks movie; in fact, both Dear John and The Last Song were filmed in Wilmington! This scenic seaside town is ideal for various water sports, family beach trips, or a quiet day of relaxation. Wilmington doesn't have just one beach but three, so read our guide to Wilmington beaches to learn what each beach has to offer. Recognized as one of the World's Best Surf Towns by National Geographic and voted as America’s Favorite Beach in a poll by Barefoot Wine, Wrightsville Beach is a can't-miss destination if you're in the Wilmington area. Delicious restaurants, unique shops, and luxurious resorts are just steps from the sand. If you're looking to get active, the waves at Wrightsville are perfect for surfing or stand-up paddleboarding. If fishing is more your thing, cast a line near beach jetties teeming with fish or take a professional fishing charter! Interested in learning about the rich history of this Wilmington beach? Visit the Fred and Alice Stanback Coastal Education Center or Wrightsville Beach Museum of History for fun lessons about the area. 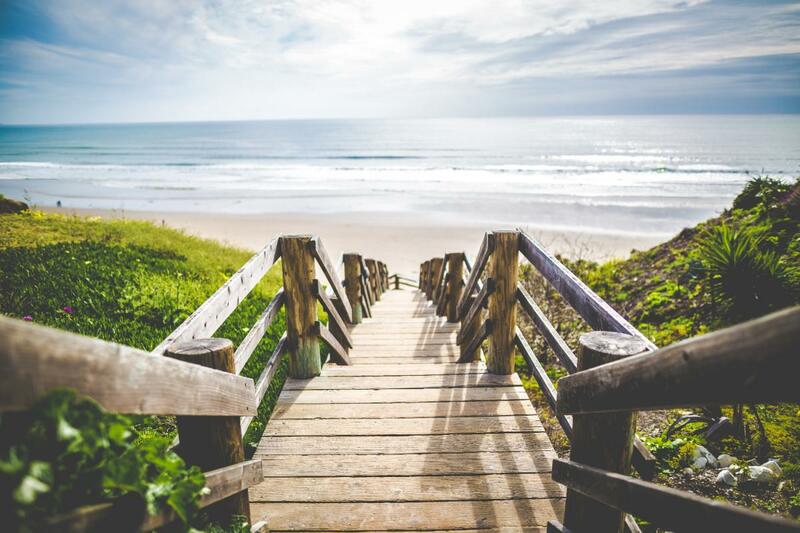 Wrightsville is also known for its vibrant social community and nightlife scene, so grab some friends, beer, and a bathing suit and check it out! There's something for everyone at this spot as the laid-back surf culture and stunning scenery of Wrightsville beach are perfect for having fun in the sun. Just 15 miles south of Wilmington, Carolina Beach is a cozy town with gorgeous views and tons of activities for the whole family. You'll find a unique beach side boardwalk that has been named one of the top boardwalks in the country by Food & Wine Magazine. The boardwalk has something for everyone as it houses numerous arcades, shops, and eateries! Carolina Beach is also known as one of the best spots in the area for boating and fishing. Set up shop yourself or head to the marina for inshore, offshore, or Gulf Stream charters as well as tournament fishing excursions, eco-tours, and sightseeing cruises. This Wilmington beach hosts an array of live music concerts and festivals such as the Carolina Beach Music Festival and Pleasure Island Seafood, Blues, and Jazz Festival! If you're a lover of nature, visit the Carolina Beach State Park to observe natural habitats featuring more than 30 species of trees, shrubs, and plants along scenic walking trails. Carolina Beach is full of action, history, and sunshine: a winning combination for any beach lover! Kure Beach is a stress-free, small town beach that is great for a weekend getaway or day with the family. While you're here, make sure to cast a line off the oldest fishing pier on the Atlantic Coast! This spot also has an oceanfront park, state recreation area, and historic fort. The nearby aquarium allows you to get up close and personal with marine life, and an outdoor play area called the Adventure Reef is the perfect place to take the kids! If you're up for a some of adventure, go kayaking, snorkeling, or dive for historic shipwrecks. You can even take a four-wheel-drive vehicle onto the sand seasonally. This beach in the Wilmington area is a must-see for history buffs as it was named one of 11 beaches in the world where history was made! Take a day trip to the Fort Fisher State Historic Site and Museum, which is the largest earthen fort in the South and was home to the largest land-sea battle of the Civil War. Whether you're looking to get active, spend the day sitting in the sand with a good book, or get your history fix, Kure Beach has it all. Now that you've read our guide to Wilmington Beaches and know which one is right for you, it's time to get those toes in the sand! Find more fun things to do in Wilmington and register on 910area, your free guide to Wilmington and Fayetteville.